Josh Hill tees off at Ayla Golf Club during the MENA Tour’s category B Q-School earlier this week. 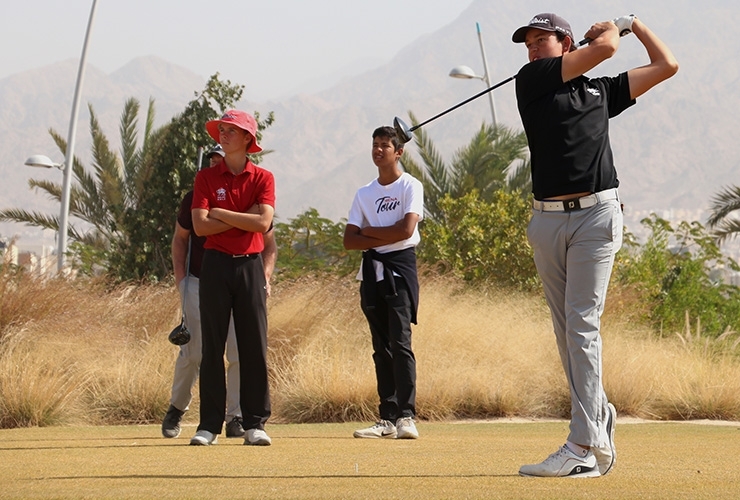 After becoming the youngest player to secure a card in MENA Tour history, Josh Hill is itching to start ticking off a list of lofty goals he’s set himself during the 10-event regional Pro-Am circuit over the next 10 months. The 14-year-old Dubai-domiciled amateur doesn’t have to wait long; he’ll tee it up Saturday in the MENA Tour’s $100,000 season-opener at the scene of his Q-School heroics earlier this week. The new Trump Dubai member can’t wait for the 54-hole ‘Journey to Jordan” bow after quickly coming to grips with the demands of Ayla Golf Club in Aqaba at Q-School. After opening the category B qualifier with a nightmare 80 in tricky conditions, Hill played the final 36-holes in five-under-par to earn one of 34 cards on offer. “It has definitely prepared me for the first tournament,” Hill told the MENA Tour. Making the cut this week would be a huge early step along the Journey to Jordan where Hill’s goals belie his tender years. “My expectations are to top the Amateur Order of Merit and get at least one top-five finish,” said the world’s 1753rd ranked amateur. 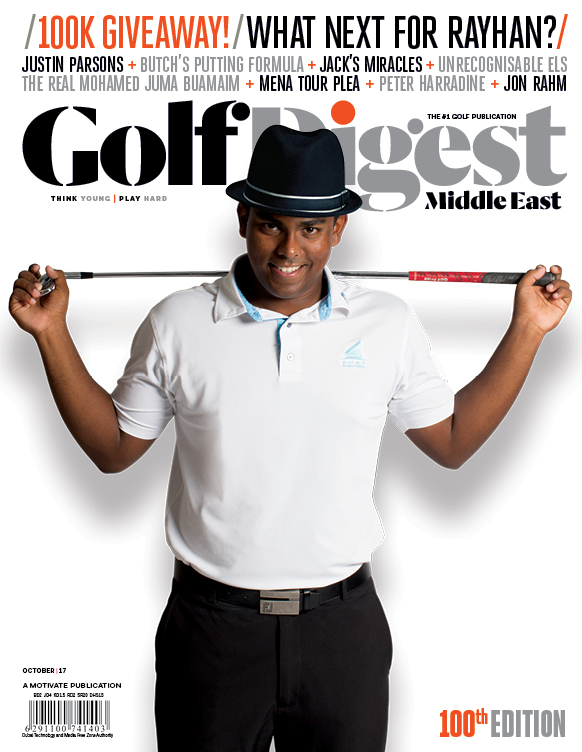 The Emirates Golf Federation runaway 2017 OOM champion, coached by Men’s Joe Marshall at the Claude Harmon III Performance Institute in Dubai Sports City, also gave an insight into his own “Harder, Better, Faster, Stronger” mentality, playing off the tour’s new #HBFS social media rallying call. The MENA Tour by Arena is returning to the world schedule after a year of restructuring and will feature 10 tournaments in 2019. It provides Official World Golf Ranking (OWGR) points, making it a pathway to bigger tours and a beacon to players from the region hoping to qualify for the 2020 Olympic Games in Tokyo. Ayla Golf Club, with its scenic setting adjacent to the Red Sea and at the foothills of the Shara Mountains, will host three events on the Journey to Jordan schedule in addition to two Q-School qualifiers, including the season-ending Tour Championship in late November. It seems Hill’s training pals Toby Bishop and Arjun Gupta will also tee it up this week on sponsors invites despite missing the cut at the category B Q-School.